An MMDA team that apprehended a lady driver for allegedly parking at a no-parking zone were surprised when she hurriedly drove off in an apparent attempt to escape from the violation but when they gave chase and caught her, they were shocked to discover there were actually kids inside the vehicle. 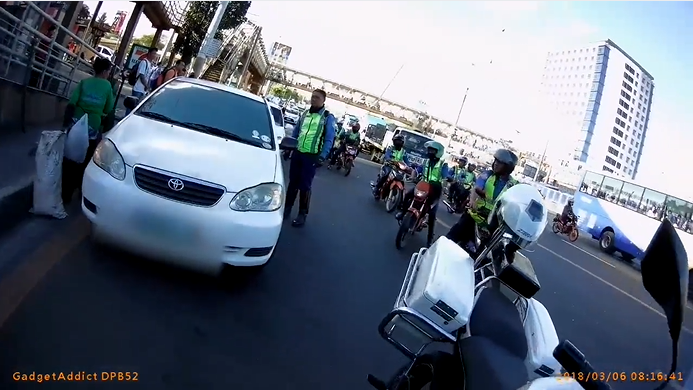 In the video shared by Gadget Addict, the chase started when the woman angrily told the MMDA team at Ever Gotesco to leave her kids out of the conversation before she sped away. With the team having several men in various cars and motorcycles, they quickly gave chase. According to the caption on the video, the chase started at Ever Gotesco and ended at the Commission on Audit (COA) compound. 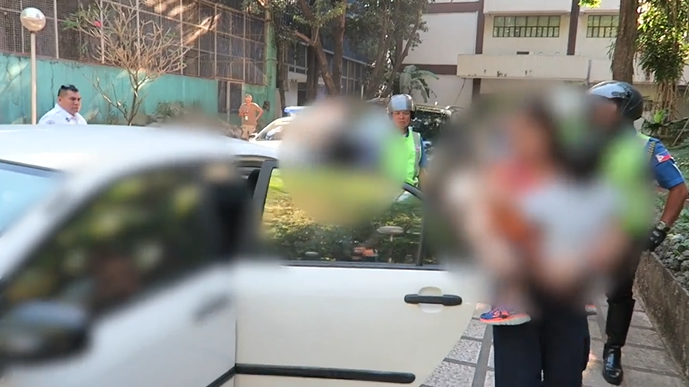 The lady driver appeared calm and apologetic as she went out of the vehicle and handed her ID to the MMDA but the team expressed shock that there were kids inside the vehicle. 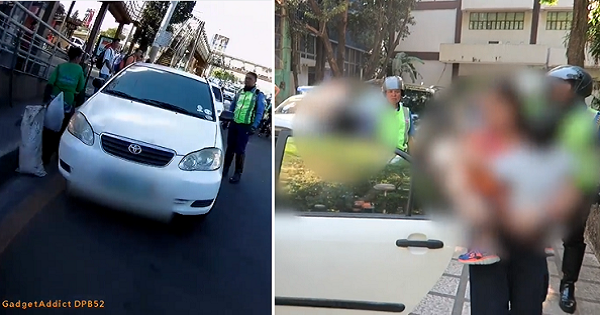 One explained to her that she was illegally parking outside Ever Gotesco but she explained that she was just outside the vehicle; however, the MMDA officer said that stepping out of the vehicle and leaving it on a no-parking zone is already considered an offense. The officer shook his head, expressing how dangerous it was for her to leave her vehicle especially with kids inside but she really put their lives in danger when she attempted to evade the MMDA team by driving off as fast as she could towards the COA compound where she apparently works in. She took her child out of the vehicle but this only made the officer feel more terrified for the kid, knowing full well that something could have happened to the child while the mother was out of the vehicle (kidnapping is rampant in many parts of Metro Manila and nearby areas) or when she tried running away. The lady driver was given tickets for various violations, including illegal parking (her first offense) and reckless driving. As of press time, it is unknown whether she was also fined for child endangerment.